Family photo of Presidents, Ministers and other representatives during the Global Island High Level Event. 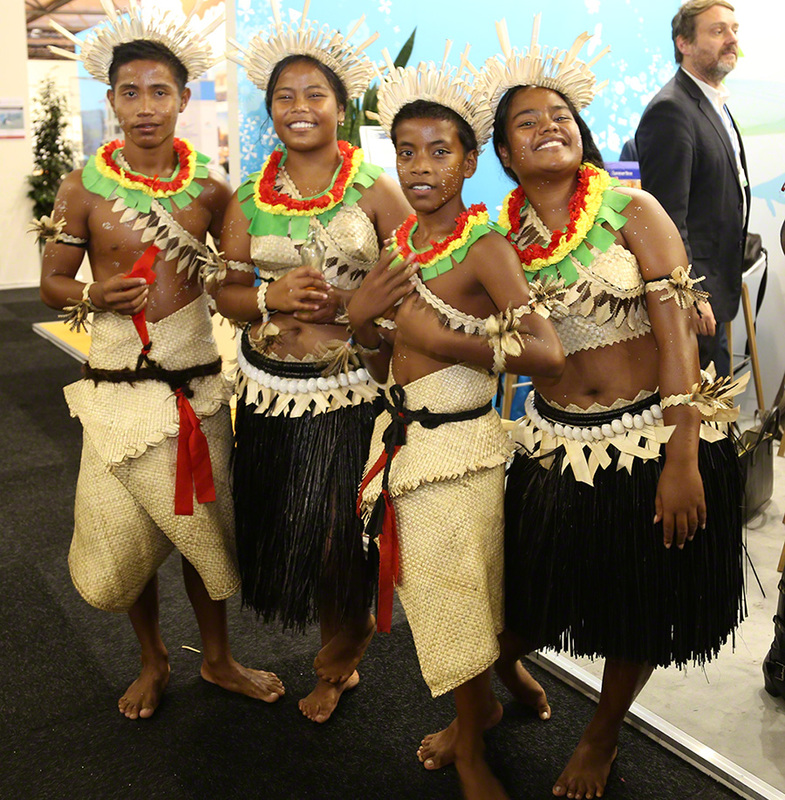 IISD Reporting Services, through its Earth Negotiations Bulletin on the Side (ENBOTS) Meeting Coverage, is providing daily web coverage from selected side events at the UN Climate Change Conference - November 2017. 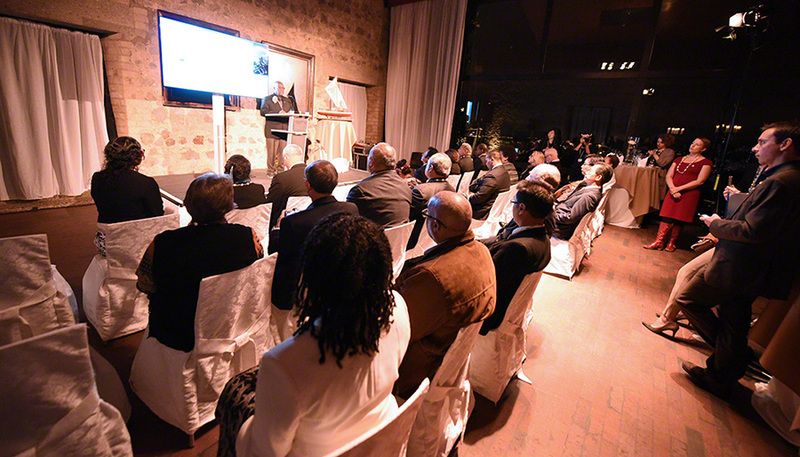 This high-level event, which took place on 15 November 2017, at Godesberg Castle in Bonn, Germany, aimed to support outcomes of the 23rd session of the Conference of the Parties (COP 23) to the UN Framework Convention on Climate Change (UNFCCC) and the Fiji Presidency by, among other things: demonstrating the leadership of island countries; launching new initiatives; accelerating implementation of existing island commitments; and building a movement of people willing to take action to build island resilience globally through the Global Island Partnership (GLISPA). Ngedikes “Olai” Uludong, Permanent Representative of Palau to the UN, and Spencer Thomas, Ambassador and Special Envoy for Multilateral Environmental Agreements, Grenada, co-hosted the event. 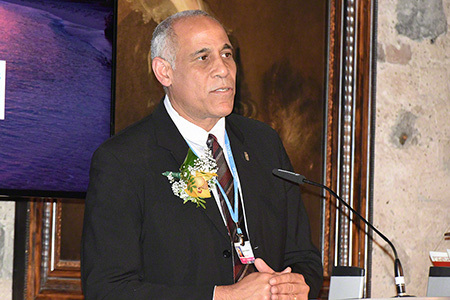 Spencer observed that the event demonstrated the leadership of islands and provided an opportunity to build strong partnerships for island resilience, climate preparation and disaster preparedness, and to mobilize finance for climate action. 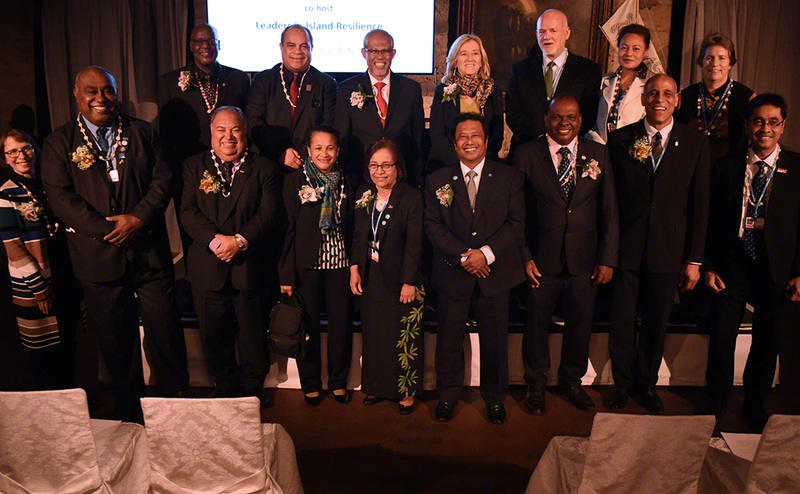 Tommy Remengesau Jr., President of Palau, reflected on how members and friends of the Partnership are leading and working collaboratively, making GLISPA one of the most vibrant forums for sharing information. He highlighted the launch of the Frontline Cities and Islands initiative, developed by ICLEI and GLISPA, which brings together mayors, cities and economies on the frontlines of climate change impacts to build resilience and look for solutions. Remengesau concluded by stating that resilience cannot be achieved if certain members of society are excluded, emphasizing the need for women to have an equal seat at the table, and for social safeguards. Hilda Heine, President of the Marshall Islands, outlined challenges relating to basic socio-economic development aside from climate change. Discussing high levels of vulnerability and issues related to relocating people away from hazardous areas, she emphasized that impacts severely affect the health of the general population. She described her country as the “new kid on the block” in terms of the Partnership, and looked forward to working with the more experienced GLISPA leaders. Highlighting ongoing efforts and national initiatives, she outlined: the Micronesia Challenge, a commitment to preserve natural resources; collaboration on strengthening national legislation on protected areas; and locally tailored community resilience-building processes bringing together coastal communities and island leaders to ensure sustainable use of resources. Semi Koroilavaesau, Minister of Fisheries, Fiji, recalled the recent UN Ocean Conference, observing that climate change is not only impacting the oceans but also reducing their ability to provide services for the climate. He called for a concerted effort to create momentum towards 2020. 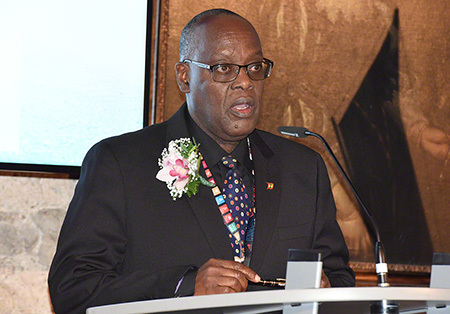 Albert Martis, Director of Meteorological Services, Curaçao, reflected on the progression and aftermath of Hurricane Irma, which severely impacted Saint Martin. Looking ahead, he explained that the focus would be on improving early warning systems to provide better information to the public, highlighting plans to partner with GLISPA. 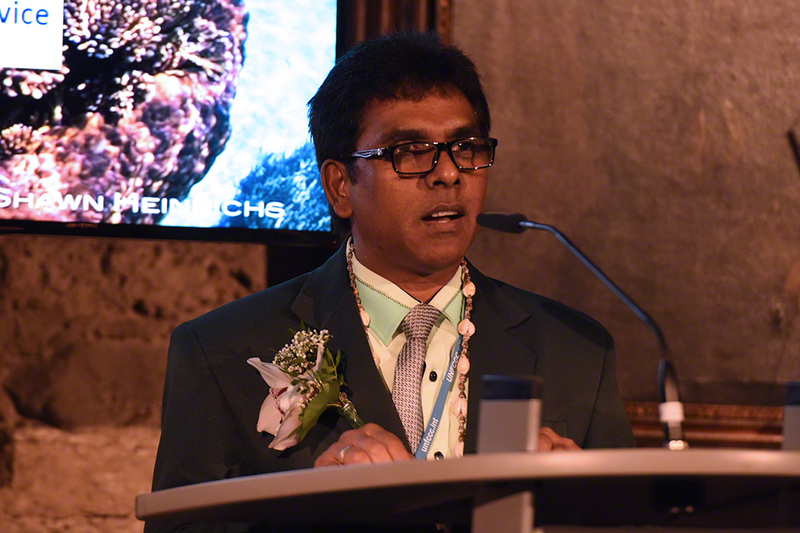 Ravind Kumar, Director, Meteorological Services, Fiji, emphasized the timeliness of the Partnership, noting the need for early warning systems for preparedness and response in the wake of Tropical Cyclone Winston in 2016. 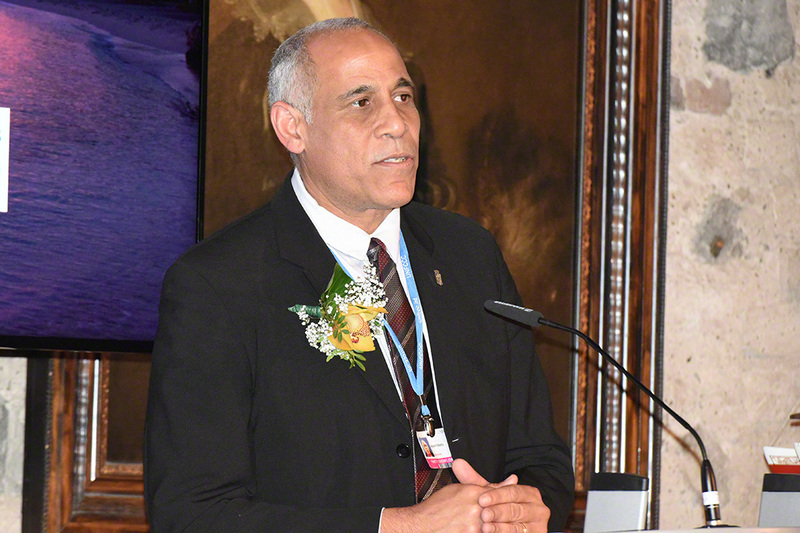 He noted that the climate early warning system being implemented by the World Meteorological Organization (WMO) in the Pacific would help to strengthen his organization’s capacity. 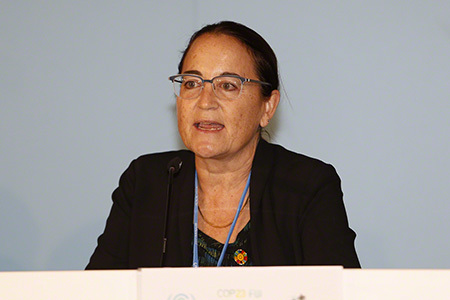 Anna Mendiola, President and CEO, Federated States of Micronesia Development Bank, called for mainstreaming gender in climate change action, noting that women are powerful agents of change and have a critical role in climate adaptation. 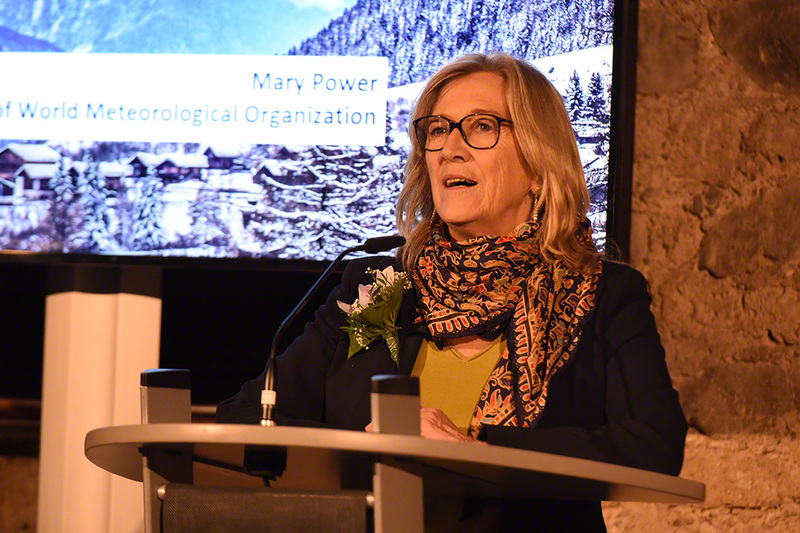 Pointing out that 90% of natural disasters result from weather and climate, Mary Power, WMO, called for investments in hydro-meteorological services, and highlighted the WMO’s role in supporting and investing in these services to save lives and protect citizens. Spencer Thomas, Ambassador and Special Envoy for Multilateral Environmental Agreements, Grenada, co-hosted the event. 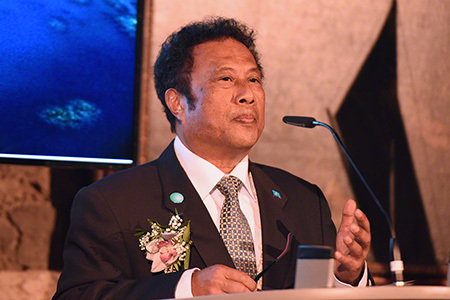 Tommy Remengesau Jr., President of Palau, emphasized partnerships as being at the center of GLISPA. 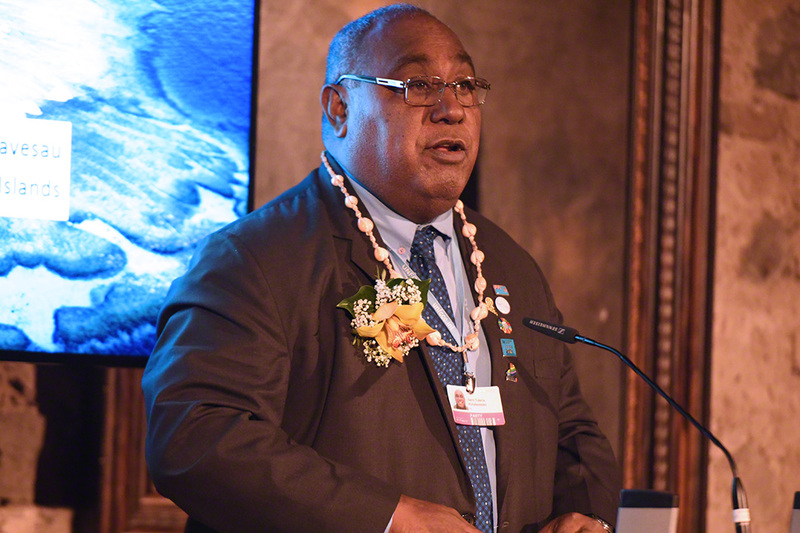 Semi Koroilavaesau, Minister of Fisheries, Fiji, said that “if we don’t fix the oceans, we can’t find solutions to climate change." 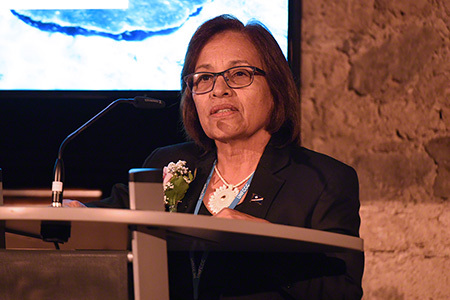 Hilda Heine, President of the Marshall Islands, outlined steps taken to forge stronger national policies, develop planning tools, and undertake an integrated approach to a national action plan for climate change and disaster risk management. Albert Martis, Director of Meteorological Services, Curaçao, emphasized the need for impact-based forecasting for extreme weather events. Ravind Kumar, Director, Meteorological Services, Fiji, called for early warning systems to be people centric, noting that communication was critical, along with good information. 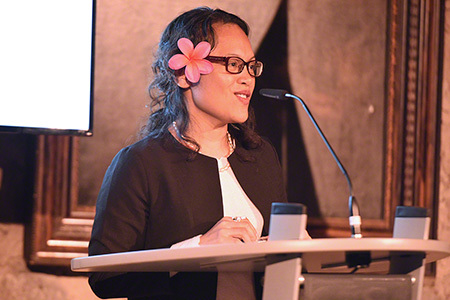 Ngedikes “Olai” Uludong, Permanent Representative of Palau to the UN, co-hosted the event. Mary Power, WMO, called for valuing and investing in meteorological services. Moderated by Andrew Steer, World Resources Institute (WRI), this event showcased country experiences with measurement, reporting and verification (MRV) and transparency efforts, including with the support of the Capacity-building Initiative for Transparency (CBIT). 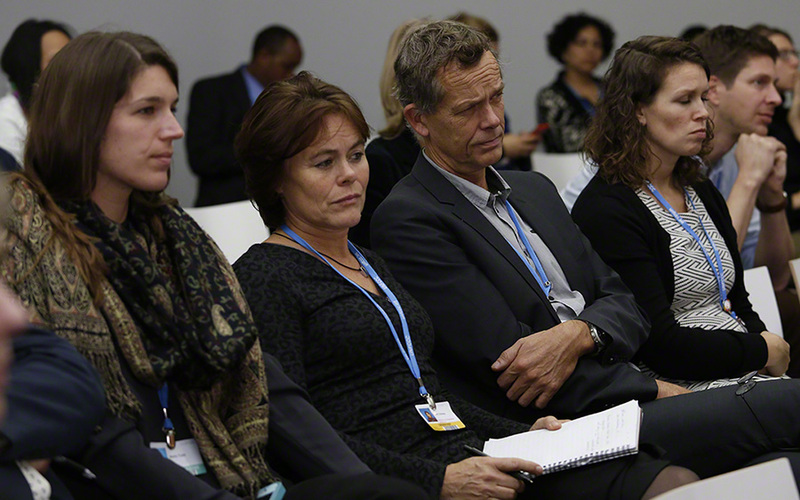 The event explored challenges to, and opportunities for, embracing enhanced transparency for Paris Agreement implementation and informing national planning and decision-making processes related to climate policies. 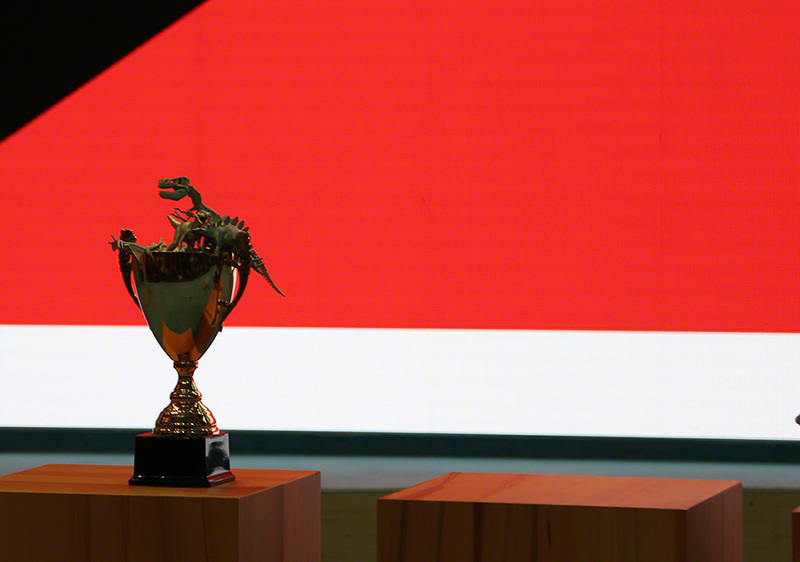 The event opened with a video introducing the CBIT mechanism. Naoko Ishii, CEO and Chairperson, GEF, welcomed participants and recalled COP 21 in Paris, where parties called for more transparency in climate finance. 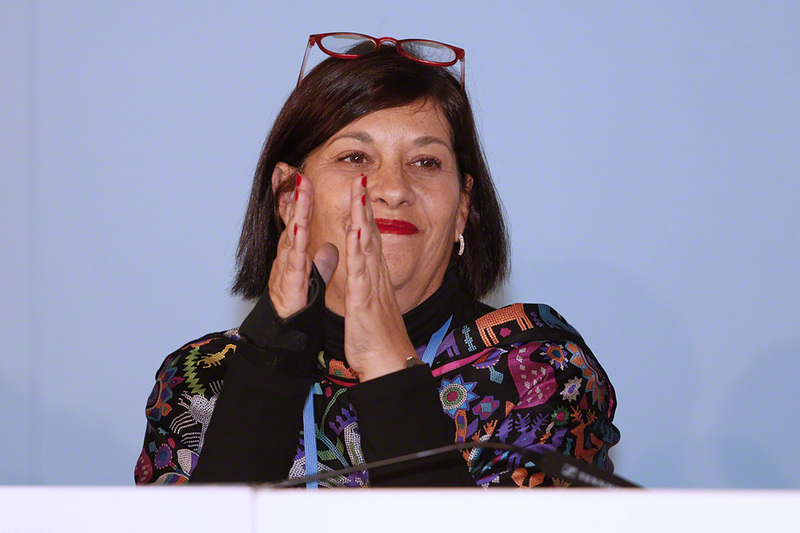 She noted US$61 million had been mobilized for CBIT, with US$5 million from Japan, which adds momentum to opportunities for countries to overcome climate mitigation and adaptation challenges. She explained that GEF support for national data monitoring through CBIT assists countries with their Nationally Determined Contributions (NDCs) on specific sectors, particularly those with data deficits, such as agriculture and land-use. 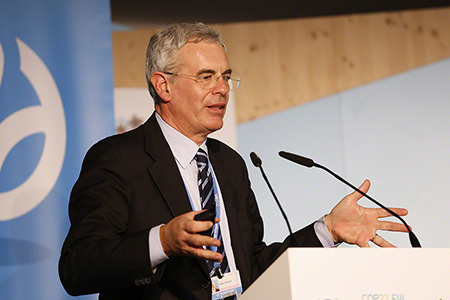 In a keynote speech, Andrew Steer, WRI, said transparency and reporting are the most vital elements of climate negotiations, and credited climate negotiators, who called for greater attention to transparency. He said that MRV gained the attention it deserved, adding that measurement is challenging, but that new technologies and capacity building help countries to improve this process. 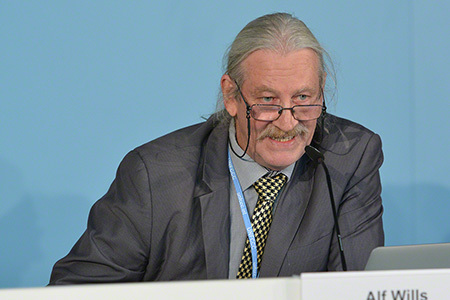 Alf Wills, South Africa, said that transparency is at the heart of the Paris Agreement and explained that it helps to pave the road ahead. He added that since 2005, South Africa has been investing in capacity building and thanked the GEF for supporting this effort. He explained that at the national scale, monitoring impacts is critical and evaluation helps his country meet international requirements. He called accounting systems “vital for complementing carbon budget tracking” and emphasized that challenges in this system included: skills development; improving governance, documentation and institutionalization; and monitoring and evaluating at the national level. 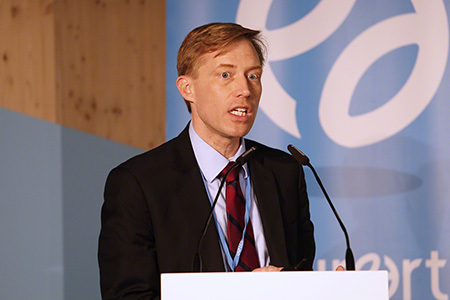 He concluded stating that better information advances climate issues on the political agenda and can help with public engagement, as well as with environmental literacy. Gwen Sissou, Papua New Guinea, said CBIT was only recently implemented in her country, noting challenges to data collection in the agriculture and land-use sectors. 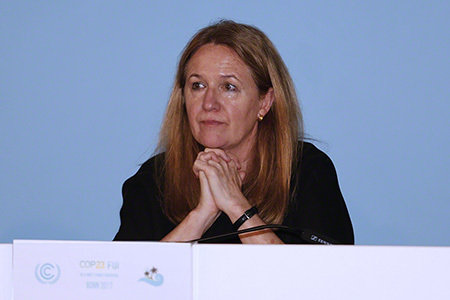 She expressed hope for improvements to forest data, explaining that CBIT enhances NDCs. 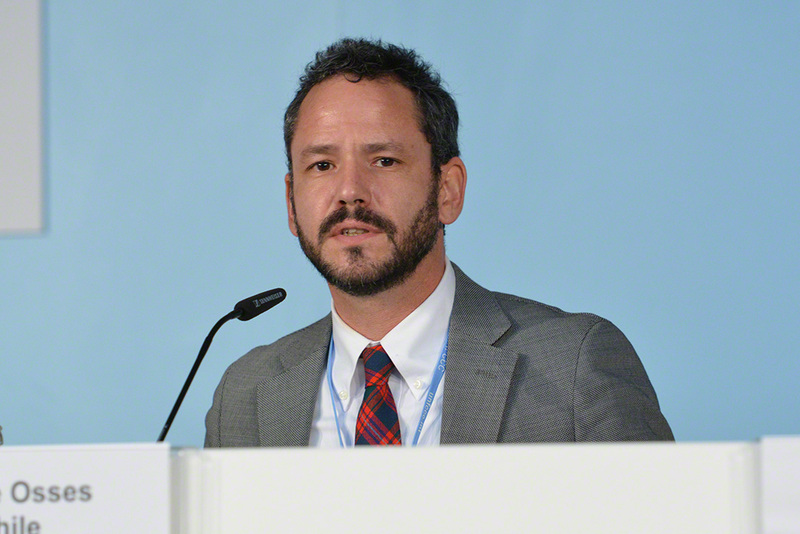 Felipe Osses, Chile, explained his country’s use of CBIT and highlighted its experience with the current MRV framework. 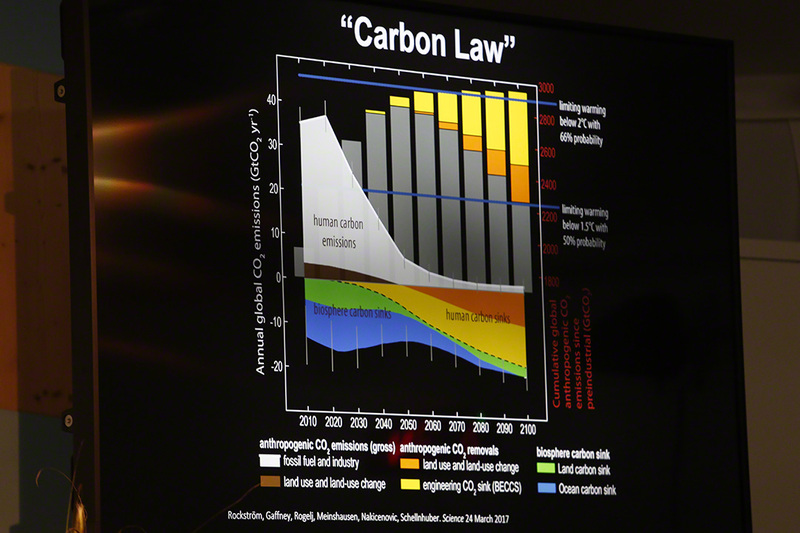 He noted Chile's comprehensive national greenhouse gas (GHG) inventory, including a time series available for 1990-2013. 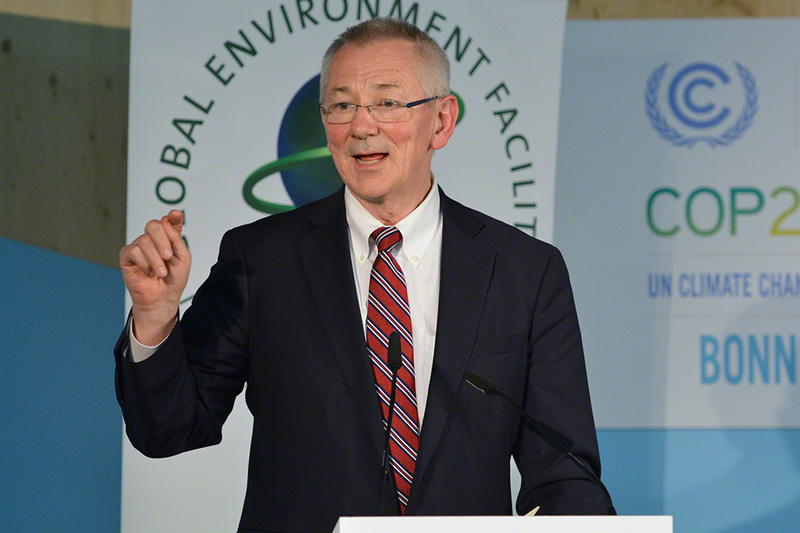 Speaking on the Enhanced Transparency Framework, he explained that tracking emissions to be reported every five years is the most vital action on climate change. He noted a network of climate focal points and initiatives to integrate climate action in order to improve policymaking. Yasuo Takahashi, Japan, reaffirmed his country’s commitment to the GEF and announced continued support until the GEF-7 replenishment period. He highlighted the need to strengthen institutions on transparency, and said his country has annual inventories on GHG emissions, which serve to foster voluntary efforts. He added that Japan’s National Adaptation Plan, to be improved by monitoring and evaluation schemes, is reviewed every three years. 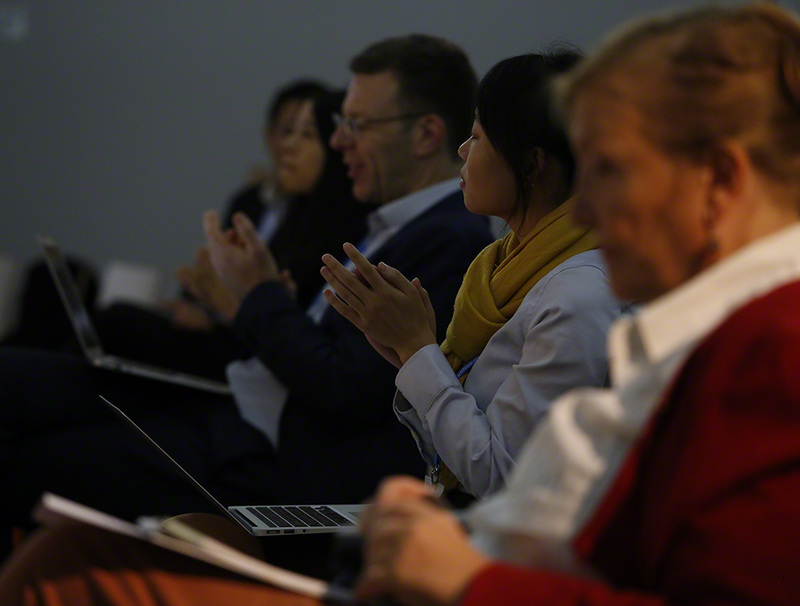 In the ensuing discussion, panelists addressed methods to incentivize developing countries to act on transparency, and how mandatory reporting mechanisms impact private sector emissions. 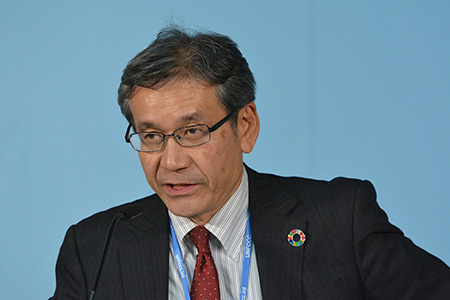 Ishii closed the event, highlighting transparency as a cross-cutting issue, and emphasized that CBIT is helping governments to be more ambitious about climate action. Alf Wills, South Africa, lamented private sector “poaching” of governmental staff, referring to competition between the government and the private sector for trained professionals on transparency and measurement. 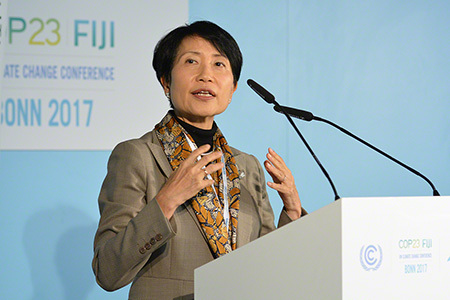 Naoko Ishii, CEO and Chairperson, GEF, highlighted GEF support to CBIT. In this side event, organized by the UNFCCC in collaboration with Sustainable Energy for all (SEforALL), panelists explored the People-Centered Accelerator, a SEforAll project aiming to enhance clean energy access for women and the poorest people by unlocking finance from private and public sources and strengthening collaboration between stakeholders in the energy, gender and social justice sectors. Tara Shine, Mary Robinson Foundation – Climate Justice, moderated the panel. Rachel Kyte, CEO, SEforALL, and Special Representative of the UN Secretary-General for Sustainable Energy for All, in a keynote address, outlined the SEforAll’s mission to advance gender inclusion and social justice by bringing sustainable energy for all. 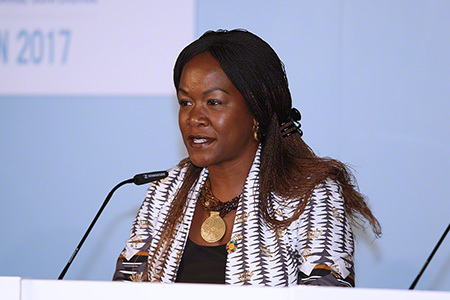 Noting that there are already many groups working in this space, she highlighted the possibility for “the whole to be greater than the sum of the parts” and said the role of the People-Centered Accelerator is to quicken the energy access transition. She outlined the Accelerator’s workstreams, including: finding the best pathways for sustainable energy access; directing capital to gender-inclusive and socially-responsive business models; and empowering women in the energy sector to transform the system themselves. Sheila Oparaocha, ENERGIA, presenting on her organization’s work to scale up energy access and empower women, reported that ENERGIA has provided financial, technical and training support to 4,000 women entrepreneurs since 2012, who have collectively sold 450,000 product units. She emphasized that women have access to social networks where they can build distribution chains that would be too risky for traditional commercial actors. Oparaocha noted the importance of building agency and assertiveness among women. 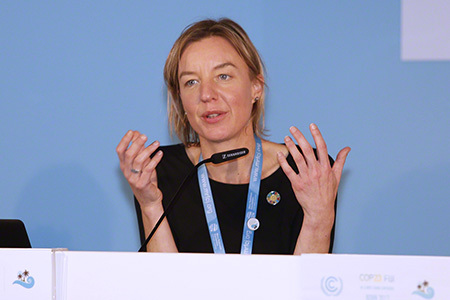 Ingrid-Gabriella Hoven, German Federal Ministry for Economic Cooperation and Development (BMZ), called for a people-centered approach to energy supply, highlighting that energy access is a political issue. 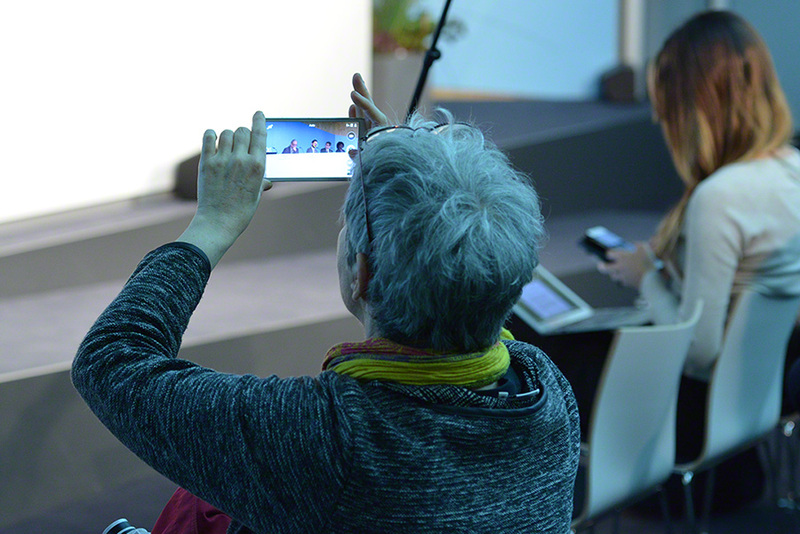 Outlining the energy transition in Germany, she stressed the value of a decentralized approach to power distribution, as people “have a say” in what kind of energy they want to buy from local providers. 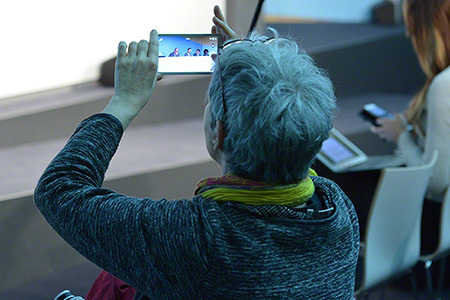 She called for, inter alia: closing the gap between large and local projects; multi-stakeholder approaches; and de-risking the funding environment. Agnes Leina, Executive Director, Il’laramatak Community Concerns, Kenya, highlighted that women are affected most by lack of electricity access, reporting that most rural households in her country use firewood for cooking, which carries many health hazards. She called for including women in project design, planning and implementation. Linda Davis, wPOWER Hub, described her organization’s mission to empower 8,000 women entrepreneurs to provide energy products to 3.5 million households by 2018. She outlined three pillars of work: building the evidence case for women’s involvement; sharing best practices; and advocacy and awareness raising. On sharing best practices, she highlighted principles including: a focus on women; a presence within the community; and innovative finance. 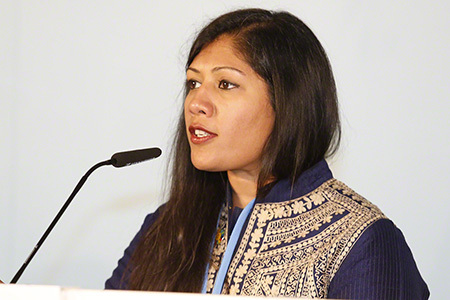 Ajaita Shah, Founder and CEO, Frontier Markets, presenting on her organization’s work, said they have reached 300,000 households to date and their mission is to empower 10,000 women energy access entrepreneurs. She noted challenges including access to capital, and emphasized the potential of the People-Centered Accelerator to bring all stakeholders to the table. Lorena Aguilar, International Union for Conservation of Nature (IUCN), speaking about her organization’s work, highlighted the challenge regarding a lack of data on gender and climate change. She reported on a study of 192 national energy frameworks from 137 countries, titled 'Energizing equality,' which found that: one third of the frameworks include gender considerations, but mostly envisaging women as stakeholders or beneficiaries rather than as agents of change; and 93% of the frameworks mentioning women are from developing countries. Susan Gibbs, Wallace Global Fund, presented on a new report, titled 'Opening Doors,' which assesses projects and programmes currently underway on gender and climate. She emphasized findings such as: advocacy being the most widely reported activity across all geographic regions; key barriers include access to multi-year funding and few women in the energy and technolgy spaces; and that only 12% of the organizations studied focused on moving capital. Fleur Newman, UNFCCC, in closing remarks, said that the energy access transition needs to be “rapid and radical.” Noting the recent adoption of the UNFCCC’s first Gender Action Plan, she encouraged submissions on the plan, emphasizing that it will be “as ambitious as we make it.” She said collaboration, cooperation and partnerships are key, which said are the “core strengths” of the People-Centered Accelerator. 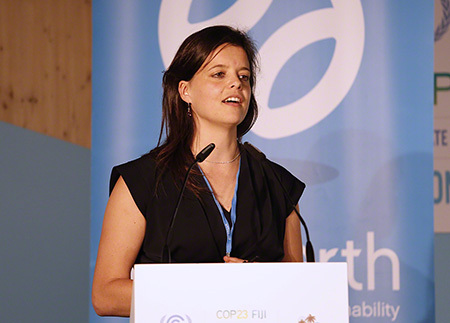 Tara Shine, Mary Robinson Foundation – Climate Justice, said SEforALL is dedicated to leaving no one behind, and the People-Centered Accelerator is part of that mission. 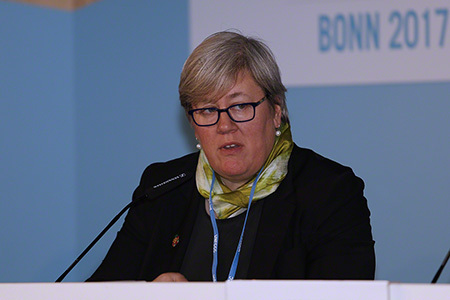 Ingrid-Gabriella Hoven, BMZ, called for effective monitoring of how many people have access to energy, not merely megawatts generated. 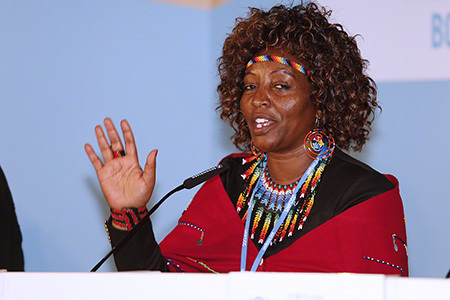 Agnes Leina, Executive Director, Il’laramatak Community Concerns, Kenya, shared experiences of her local community. Ajaita Shah, Founder and CEO, Frontier Markets, reported that her company was the first energy access company to break even globally. 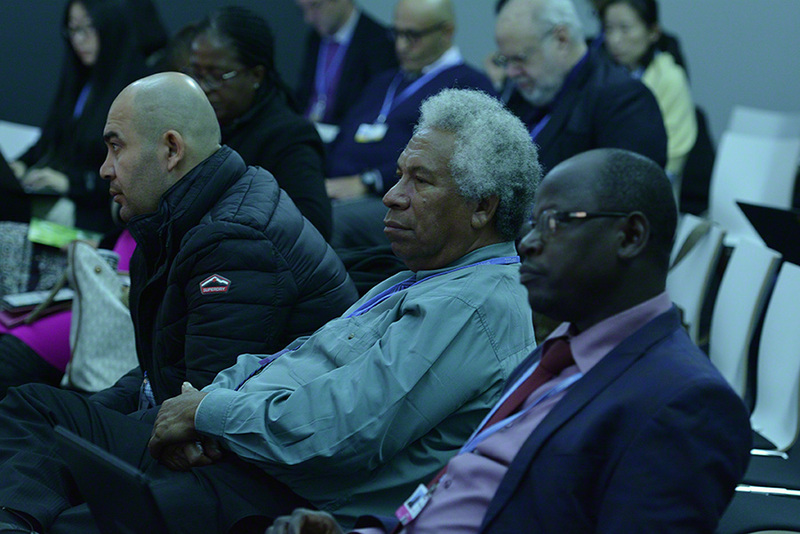 This side event focused on The World in 2050 (TWI2050), a science and policy initiative aimed at taking an integrated systems approach to developing pathways to sustainable development within planetary boundaries. Luis Gomez-Echeverri, IIASA, moderated the panel. Bambang Brodjonegoro, Minister of National Development Planning, Indonesia, emphasized the priority Indonesia places on implementing the Paris Agreement and the SDGs. He said Indonesia is among the first countries to have a national policy on SDG implementation, integrating all SDGs into its development agenda. Emphasizing the need for global partnerships, he called for stable and predictable funding mechanisms, further science-policy coordination, and innovative approaches in financing for development. Nebojsa Nakicenovic, IIASA, presented on TWI2050, describing it as a global research agenda in support of successful implementation of the SDGs. 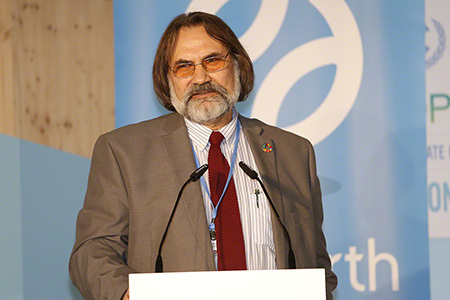 Noting that development needs must occur within planetary boundaries, he emphasized the need to find synergies in implementing SDGs and the Paris Agreement, to find development pathways which would enable all goals to be achieved simultaneously, cutting costs and improving feasibility. He emphasized that TWI2050 has 20 partner institutions conducting research. 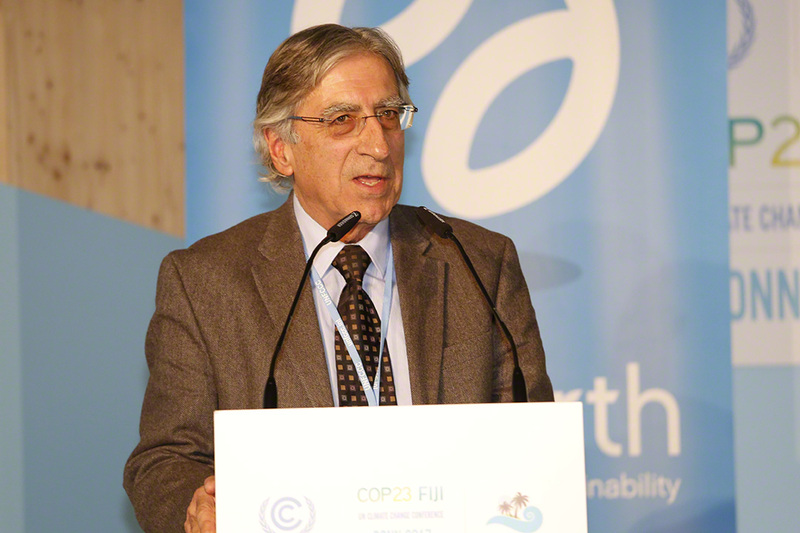 Carlo Carraro, Ca' Foscari University of Venice, presented a research project evaluating how the Paris Agreement will impact the SDGs. He reported on the study’s methodology, saying that the researchers incorporated SDG indicators into a sustainability model and country ranking, which can be projected into the future. He showcased results, including that if NDCs were implemented by 2030, there would be a positive impact on the SDGs and sustainability in most countries, although the most sustainable and the least sustainable countries would remain in their current rankings. Nathan Hultman, University of Maryland, presented on integrating national SDG, NDC and long-term strategies for low carbon development planning. Noting the “engine of ambition” in each of these processes, he emphasized challenges including: lack of policy expertise and capacity for NDC development; and lack of linkages between policy development processes. He called for creating linkages and breaking down silos between the SDG, NDC and long-term strategy processes. He said TWI2050 provides opportunities for integrated thinking and creates a community of stakeholders and researchers. Pauline Scheelbeek, London School of Hygiene and Tropical Medicine (LSHTM) and Future Earth, presented research on climate change impacts on human health, focusing on adaptation and mitigation challenges and strategies in the context of the SDGs. She emphasized that the last 70 years have seen a “great acceleration,” with steep increases in CO2 levels combined with socio-economic changes, including higher demand for energy, food and water. Despite these changes, she noted humans are healthier than ever before, and this is partly due to using global resources unsustainably. She called for a coordination of research agendas for the implementation of the SDGs. 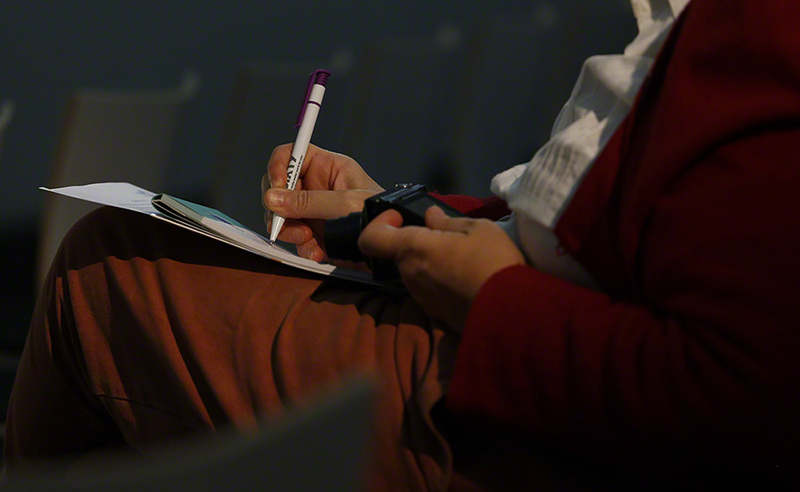 In the ensuing discussion, questions centered around: how to combine education in science and the humanities so that the gap between analysis and policy can be bridged; whether we should focus on a social transition rather than a technological transition; and whether there are guarantees that politicians will hear scientists. Pauline Scheelbeek, LSHTM and Future Earth, presented mechanisms through which climate change is having an impact on human health. Nathan Hultman, University of Maryland, said connections between government, stakeholders and researchers need to be strengthened. Carlo Carraro, Ca' Foscari University of Venice, said the implementation of NDCs will provide benefits for sustainable development. Luis Gomez-Echeverri, IIASA, highlighted the knowledge gaps in SDG implementation. 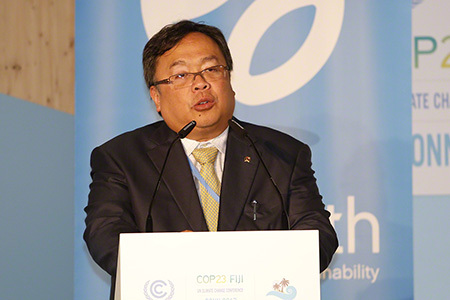 Bambang Brodjonegoro, Minister of National Development Planning, Indonesia, emphasized the need to ensure that sustainable development policy reforms and initiatives can be addressed in an integrated manner.